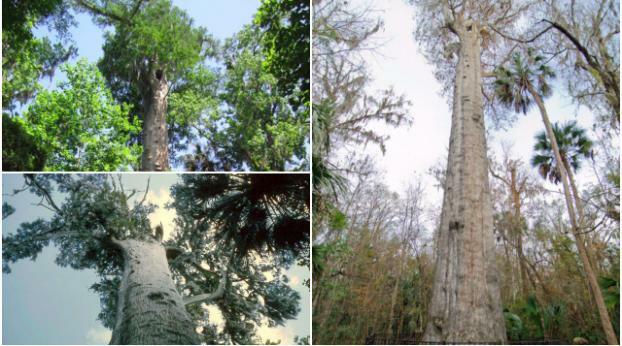 This big and slow-growing tree is found in Southeastern area of the United States. It was planted on every continent with a hot climate because of its vital role in the ecosystem. 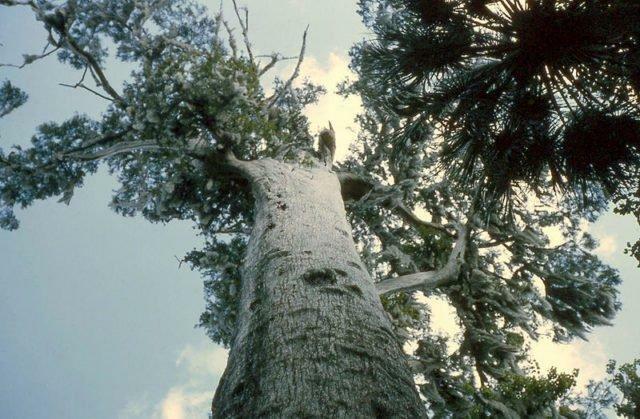 Normally, this long-living tree grows 30-35m long and has a diameter of 1-2m. 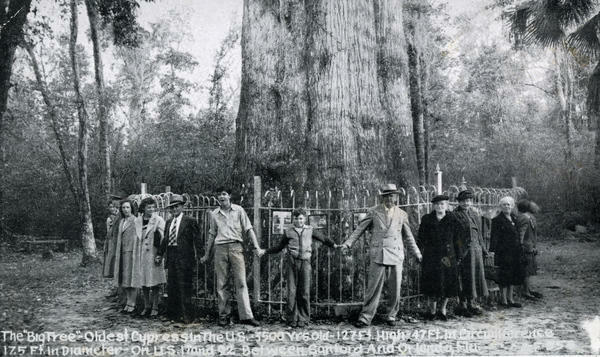 In 1963, this tree was chosen as Lousiana’s official state tree, and in 2002 was declared Threatened by the Indiana Department of Natural Resources and made it protected by law. 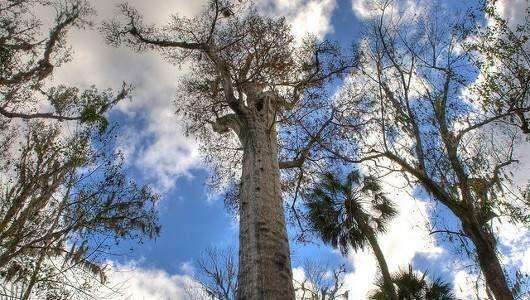 Another of this kind, the “Lady Liberty Tree,” is already 2000 years old and stands 88 feet (27m) in a swamp. With just a 13-yard distance from each other, both trees are located in the Big Tree Park. The Senator has been a landmark since the Native Americans. In the early 19th Century, this became famous and attracted visitors. To reach the tree, people had to leap from log to log because of the swamp surrounding it. 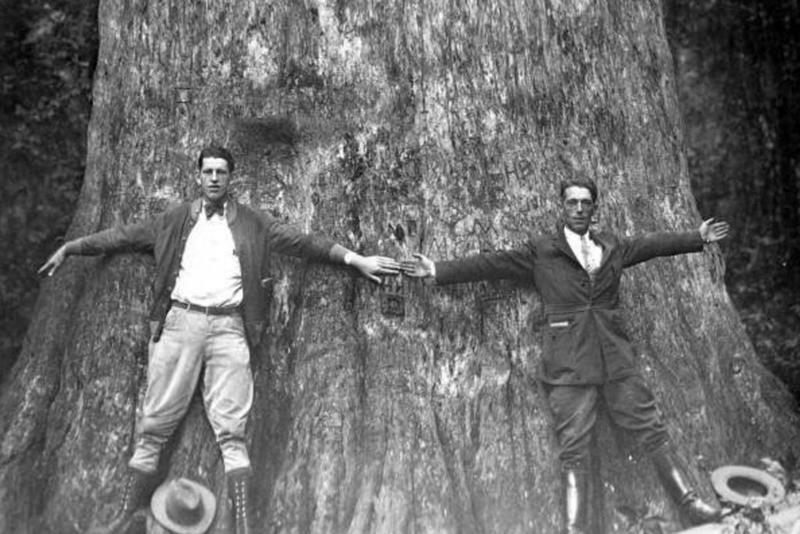 Tourists holding hands around the Senator Tree in Longwood, circa 1930. Florida State Senator Moses Overstreet donated The Senator, with the land around it, to become a park in 1927. Then US President Calvin Coolidge also paid a gesture of respect and honored it by donating a commemorative bronze plaque when he visited the park. However, this was stolen by vandals in 1945. This grand natural monument was unfortunately destroyed by a fire on January 16, 2012. At first, they thought a lightning started the fire, but it was later proven that it was caused by a 26-year old crystal meth addict, Sara Barnes. Barnes was unable to control the fire that she started to light and use for her drugs. The flames took over the entire tree and burnt it to the ground. The Division of Forestry arrested her on February 28. She admitted that unlike her other visits to the park for her pot sessions, her last visit became fatal for the precious tree. The police also found photographs of the burning tree on her computer and cell phone. Because of the unfortunate event, the park went through renovations and was closed for visitors. The park was re-opened on March 2, 2014 with a new boardwalk, a playground and a memorial for the Senator. 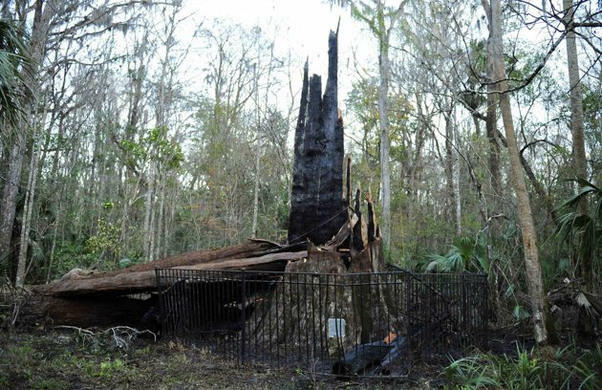 As permitted by the Seminole County in 2013, a group of artists offered pieces of art for the fallen tree. These included pens, vases, flutes and sculptures from The Senator’s charred remnants. Some of these were sold at art shows and the rest were planned to be part of a travelling exhibition. People believed that The Senator is still alive because of saplings spotted at the base of the tree. Moreover, Park officials mentioned about clones of the tree. One of these was planted on the place where The Senator once stood, and was symbolically named Phoenix.